All Stars Home Plate $12 ea. All Stars Triangle $12 ea. Baseball Triangle $12 ea. Baseball Home Plate $12 ea. Ballpark Home Plate $14 ea. College Home Plate $12 ea. College Triangle $12 ea. Major League Home Plate $12 ea. Major League Triangle $12 ea. Minor League Home Plate $12 ea. Minor League Triangle $12 ea. Softball Triangle $12 ea. Softball Home Plate $12 ea. All Stars Home Plate $14 ea. All Stars Triangle $14 ea. College Triangle $14 ea. College Home Plate $14 ea. Major League Home Plate $14 ea. Add Your Photos Major League Home Plate $16 ea. Major League Triangle $14 ea. Minor League Home Plate $14 ea. Minor League Triangle $14 ea. 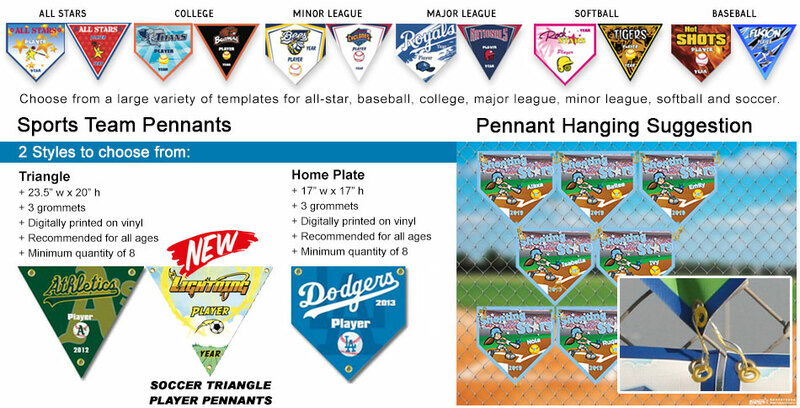 All Stars Home Plate $16 ea. All Stars Triangle $16 ea. Baseball Triangle $16 ea. Baseball Home Plate $16 ea. College Home Plate $16 ea. College Triangle $16 ea. Major League Home Plate $16 ea. Major League Triangle $16 ea. Minor League Home Plate $16 ea. Minor League Triangle $16 ea. SoccerTriangle $16 ea. Softball Home Plate $16 ea.